Is LED lighting already too cheap to control? Recently I reviewed a proposal to install a lighting control system for a mid-sized commercial office building. What struck me about the project was that if you installed new LED lights, the lighting control system had a 10-year payback, but if you left the old T-8’s in, the lighting control system had a 3-year payback. How have prices changed over time? This led me to ponder how quickly the lighting systems have changed in the past 5 years and what that might mean for the future of lighting, so I looked back through some old proposals and found that LED bulb that costs $14.95 today cost $45 in 2011. 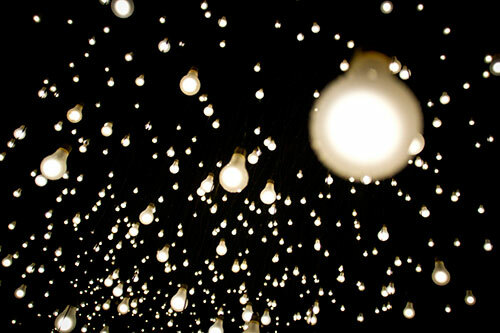 In addition, the 2011 model only produced 64 lumens per watt, while today’s bulb produces 89 lumens per watt. To get a better sense of what to expect from the LED industry, I compared efficiency and pricing trends in the solar industry to the LED industry. Over the past 20 years solar panels have gotten 4% more efficient every year, while LED lights have gotten 8% more efficient every year in the last 4 years. In addition, solar panels declined in price by about the same amount as LED lights—40% every 2 years. If LED industry trends continue, the LED bulb of 2020 will produce 134 lumens per watt and will cost the average customer $3.87 per bulb. What does this mean for the makeup of building electricity load? Well, since the electricity required to light our buildings will be 90% less than it was in 2010, the percentage of electricity required to light our buildings will go from 30% to approximately 6%. Heating, ventilation and air conditioning (HVAC) will go from 30% of the building load to 46% of our building load by 2020. Once every building has replaced all of its old fluorescent and incandescent bulbs, the best way to reduce building electricity consumption will be to improve the HVAC systems. As Wayne Gretzky says, “skate to where the puck is going to be”. We observed the potential for LED lighting to really reduce energy costs and anticipated a serious “bullseye” being placed on the HVAC operations and energy consumption. With that in mind we started focusing on building technologies that could help our customers improve their HVAC operations. Check out our web site at www.exyBox.com to find out what we have done to help building owners and operators control their HVAC operating and maintenance expense. Boiler room or board room: where does your company make its energy decisions? 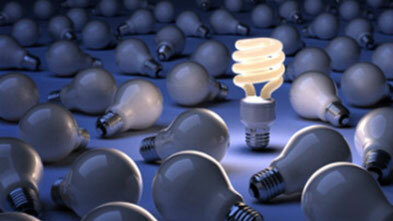 First of all, why does it matter where your organization makes its energy decisions? It’s simple. Moving energy decisions closer to the board room gives your organization a chance to leverage those decisions across departments and across your entire portfolio, thereby creating a competitive advantage. In the past decade, there is a swelling environmental tide, which has led to more focus on energy and as a result has led to local and national incentives for implementing energy efficiency and renewable energy, creating opportunities to save money and be green simultaneously. I like to categorize energy decision making into 4 basic categories 1) Status Quo, 2) Reactive, 3) Strong Local Leader and 4) Game-changer. 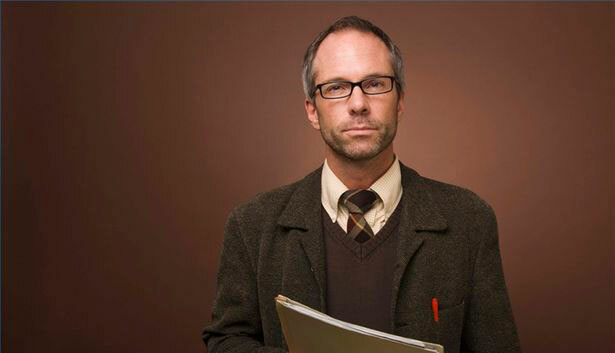 Recent environmental focus, customer awareness, incentives, or just shrewd business decisions caused organizations to move away from the “status quo” toward the mac-daddy “Game Changer” category. More detailed discussion of each of these categories is provided in my article here. 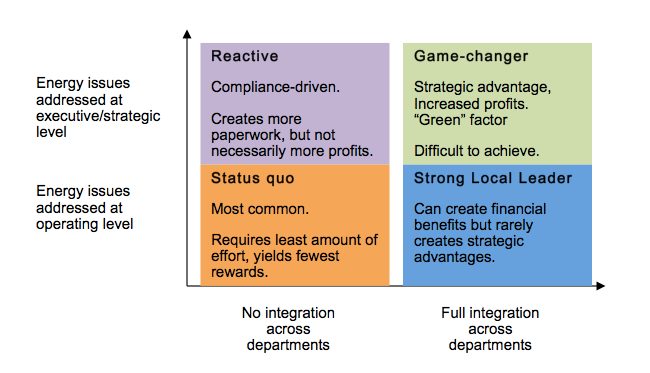 Most companies fall into the status quo block in the lower left-hand side of the chart. 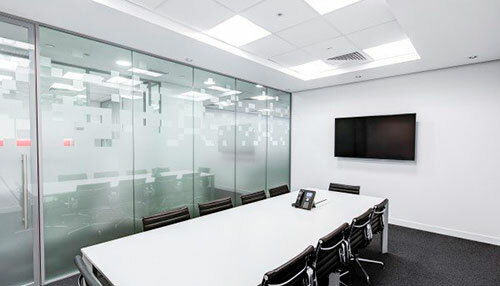 Many organizations have seen the light, so to speak, regarding the advantages that can be gained from moving those energy decisions closer to the board room. Companies like Walmart, CVS and Starbucks continue to create greater distance between themselves and their nearest competitors by thinking about energy as a core competency and focusing on both the financial and environmental impact of corporate-wide energy policy and actions. I understand it’s a difficult transition, but an essential transition if you want to stay competitive with the big boys. Summer peak demand charges can be a very big part of a commercial building summer electricity expenses. What’s the best way to reduce those costs? Let’s look at the makeup of a typical electricity bill. According to the U.S. Energy Information Administration, on average, lighting accounts for 30% of the total electricity costs while HVAC systems account for about 40% of the total electricity cost. However, HVAC systems account for as much as 70% of your peak load on hot summer days. With ongoing declines in LED prices (see my blog on predictions for LED lighting) the HVAC system can account for even more of your summer peak load. f you operate a business, you don’t want to turn the air conditioner off during peak periods. You have customers and/or tenants and they all want to be cool during a heat wave, so that’s not an option. Be good to your air conditioner. 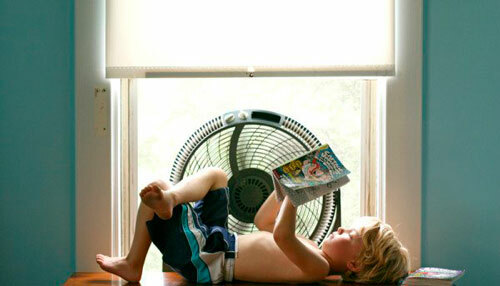 Ignoring your air conditioning system can be the worst thing you do. A 10% improvement in efficiency can yield a 7% reduction in peak demand charges—in one day, not to mention the ongoing energy savings every day throughout the summer. I have personally audited hundreds of HVAC units and in every case, there was something robbing those HVAC systems of efficiency. All of them could use a little help to improve their efficiency. Some units were installed incorrectly, some had faulty control systems, some need mechanical repairs; the list goes on and on—the important part to remember is that HVAC systems are dynamic and its hard to keep them working at their peak all the time. A small breach in the building envelope can make a big difference on a really hot day. You can find holes in the envelope by measuring temperatures all around. Local electric utility companies tend to have some contractors that can provide an assessment for a fairly low fee, and there are many specialists who can help you tighten up your envelope. Ducting that is exposed to sunlight on a hot day can cost you a lot of money. We found that exposed ducting can create a 65% loss in cooling—meaning your air conditioner is going to run 65% more on a hot day because the sun is making your ductwork hot. Duct insulation, white or reflective paint can make a big difference. It’s easy to calculate the energy and carbon reductions savings from solar installations and LED light installations, but what about heating, ventilation and air conditioning (HVAC) system efficiency improvements? Given that HVAC systems account for nearly 50% of any buildings energy consumption, many building owners and managers are looking for a way to calculate the savings potential from HVAC efficiency improvements. However, because of the complex nature of HVAC systems and therefore, the complexity and uncertainty of HVAC efficiency improvement impact, it has been very difficult to justify HVAC efficiency improvements based on anecdotal evidence and limited data. $3,124 per year for a 20-ton unit. That’s what we estimated the average commercial building owner/manager could save, based on combining the results from several U.S. Department of Energy (DOE) studies with our own customer experiences. The chart below highlights the expected savings for each of the 6 most common efficiency-robbing problems plaguing package rooftop units (RTU), commonly used in small and mid-sized commercial buildings. The U.S. Department of Energy (DOE) commissioned several studies that evaluated between 500 and 4,000 HVAC systems to determine the major problems with HVAC systems and the frequency of occurrence for each of the major problems. 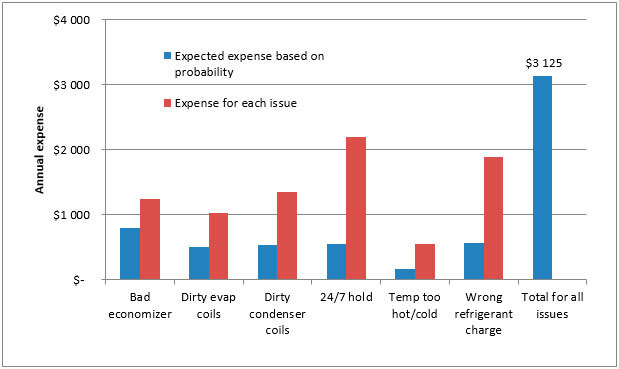 As you can see from the graph above, the 6 most common problems robbing HVAC systems of efficiency are 1) Bad economizer controls, 2) Dirty evaporator coils, 3) Dirty condenser coils, 4) Thermostat on permanent hold 24/7, 5) temperature too hot or too cold and 6) wrong refrigerant charge. While some studies identified the frequency of each problem, other studies identified the extent to which each of these problems increases the electricity consumption, i.e. the cost of the problem. When we combined the probability of having a problem with the cost of each problem we can get the “expected cost” associated with each problem for the average unit in a portfolio. For example, the likelihood of having a faulty economizer control is 64% (the most common problem) and the cost of a faulty economizer control is $1,245 per year. Multiplying the probability of having faulty economizer control times the cost associated with the faulty economizer control yields a $797 “expected cost” for each unit in the fleet. We identified the costs and probabilities for each of the remaining top 5 problems and added them up to get a total expected savings of $3,124 per year for a 20-ton unit. We should point out that this analysis is not suggesting that every 20-ton RTU will experience a $3,124 per year savings by addressing these issues—some will save more—some will save less, but on average, over a given portfolio, the energy savings is expected to be $3,124 per year. Is Big Data the Path to Big Savings. In most cases, outliers are disregarded as something outside the normal range and excluded from an analytical and management perspective. W. Edwards Deming, the grandfather of Six Sigma, took a different approach; he said outlier identification was a critical tool in improving a process, any process. In the 70’s and 80’s, the Japanese auto industry drastically improved product quality and lowered costs, due in large part to following Dr. Deming’s philosophy, while the U.S. auto industry largely ignored Dr. Deming. We all know how that worked out. Fortunately, U.S. manufacturers of heating, ventilation and air conditioning (HVAC) did not suffer the same fate. However, building owners and managers are making the same mistake when it comes to using out-of-date processes to manage and maintain HVAC systems once installed. According to U.S. Department of Energy studies, more than half of all HVAC systems are operating below their design specifications because --the process. If we apply Deming’s philosophy to the management and operations of HVAC systems, will we find the Holy Grail to the nation’s energy pains? Problem definition is more than half the solution. To define the problem in HVAC operations and maintenance, we need to identify the “outliers”-- the anomalies that plague otherwise high performing equipment and hardware, using available data. How much data do you think is available to the HVAC service tech on our homes and small and mid-sized commercial buildings? -- practically zero. Oh, they can measure various parameters while they are on site, but they don’t have detailed historical data to compare to current operating conditions much less how well each HVAC is operating as compared to other HVAC systems. There is no way to find an outlier, because there is insufficient data to establish a detailed baseline on all aspects of it’s performance. Although the auto industry took a beating in the 70’s & 80’s, they learned! Not only have they applied the teaching of Dr. Deming to improve product quality and price, but have loaded cars with sensors and diagnostics to collect real-time data to keep them running better longer. So the obvious question now is why don’t we have better HVAC operating data? An HVAC system in any building is a complicated process that very few understand well. It is difficult to decide what data to collect, how to collect it and what sort of analysis should be done after data has been collected. It’s also very expensive to put traditional hardware and software in place that has to be engineered, designed and installed, from scratch in every building. Sub-meters and utility bill analysis help, but they miss most of the important data especially when it comes to HVAC package roof top units (RTU’s). Without a process to capture detailed performance data, it is virtually impossible to keep the outliers from reducing energy efficiency, performance and useful life. Collecting data also creates an additional cyber risk as you open up the traditional IT networks and firewalls that contain accounting data, email traffic and customer names and credit card numbers. What company isn’t spending lots of money to protect their IT networks from cyber-attack? It certainly is possible to collect data and create a separate virtual or physical network, but in general, more cyber security means more money. As energy decisions move from the boiler room to the boardroom and LED lights put HVAC systems in the spotlight as the single largest energy consumer in most buildings, it’s time for a revolution in the HVAC maintenance industry. What will this revolution look like? Well let’s see, almost all revolutions these days look like this—more technology, more data, web-based, user friendly, time saver that costs less and does more. Did that capture everything? Oh, two more things, cyber security concerns have to go away and it has to be “commerce-enabled”. The state of California requires that every RTU manufacturer offers an option to collect data from the new units. While the current industry paradigm is to invest in more IP addressable thermostats and expensive building energy management systems, these investments do not address 75% of all HVAC problems that require a “truck roll” because they do not adequately address two of the most common problems with HVAC systems—human error and mechanical failure. In addition, control systems have done a poor job of monitoring themselves. Fortunately, with the advancements in hardware, sensors, communications and cloud-based servers, purpose-built “one-design fits all” systems are cheap enough to be installed on every HVAC system and identify all three common problems--mechanical failure, controls error and human error. As the data begins to reveal these truths about the process, there will be a landslide of “Deming-esque” activity, driven by the market’s desire to improve the process, and ultimately reap the rewards of such a revolution. Those who embrace Deming’s philosophy will likely ride the wave of the revolution and capture market share, while those who don’t will be wondering why they lost their job—like many former American auto workers. Chart a clear path forward to more comfort, health, productivity lower energy and emissions resulting in higher NOI and shareholder value.